Though the future of Brock Lesnar’s mixed martial arts career remains in doubt, he will officially not be facing any disciplinary action in professional wrestling. 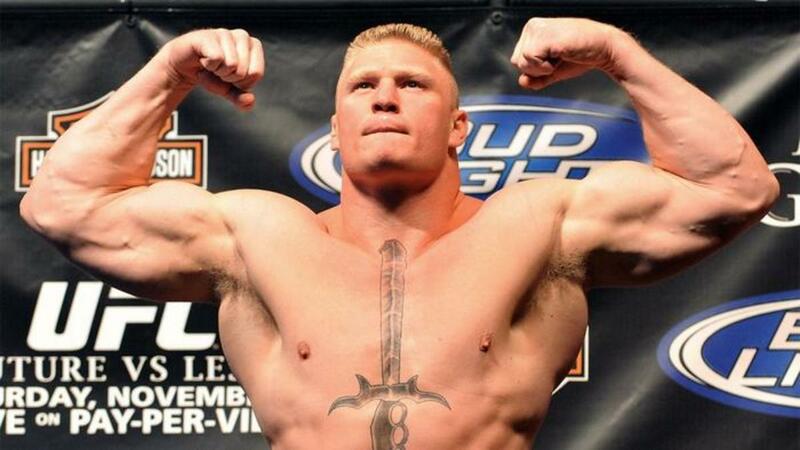 In fact, Lesnar isn’t subject to WWE’s wellness policy. A WWE spokesperson confirmed to TMZ Sports that Lesnar’s part-time status means that he isn’t tested under the policy. The WWE wellness policy requires that all talent “under contract to WWE who regularly perform in-ring services as a professional sports entertainer” undergo testing, but it doesn’t specify what constitutes regular performance. News that Lesnar had been flagged for an out-of-competition potential anti-doping violation broke just days after he defeated Mark Hunt at UFC 200, and it was later revealed that he had also failed his in-competition test taken the night of the fight. It was reported that both failures were for the estrogen blocker clomiphene, which is commonly used when getting off of a steroid cycle. Lesnar retains the right to due process, but may face a maximum two-year suspension from MMA competition if he isn't able to adequately explain the failure. The only public statement that he has made is vowing to get to the bottom of the initial flagging. After that news broke, there were questions about whether Lesnar would also be punished for his alleged transgressions by WWE, but the TMZ report and Lesnar returning to television on next week’s episode of Raw has provided a definitive answer. Lesnar will face Randy Orton at SummerSlam on August 21st in his first match since this controversy began.